These are the waters around the Raja Ampat Islands in Indonesia. This area has the highest density of marine life in the world. 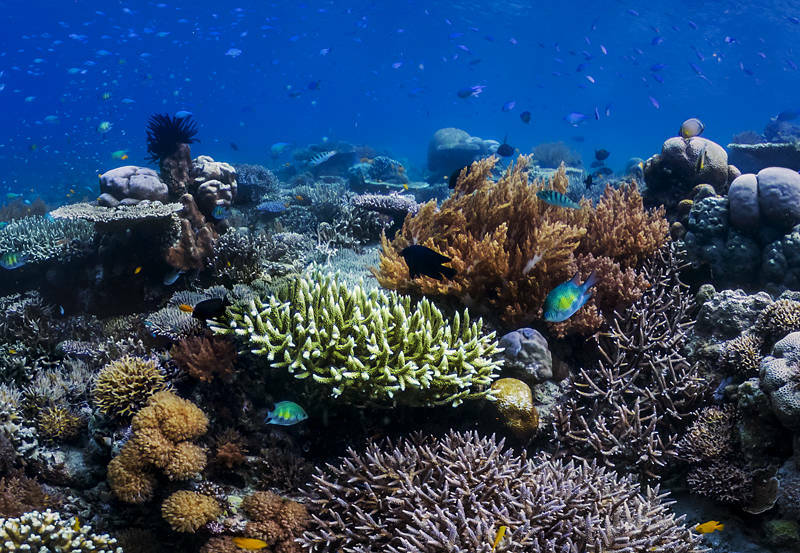 The Great Barrier Reef in Australia is the largest coral reef system but it is relatively young compared to this one. The diversity of life here is helped by being uniquely placed between the Indian and Pacific oceans and three continental plates. These images are a result of a collaboration between Panedia, Google, The Ocean Agency and the XL Catlin Seaview Survey. This project takes up most of my working week, although I don’t do the Photography, I have a lot of fun working on these beautiful images in Photoshop. Google have a page with all the underwater panoramas we sent them here.